As you’ve recently heard in the news, yesterday afternoon an earthquake of 7.3 on the Richter scale struck Haiti, one of the poorest countries in the Americas. This was the strongest earthquake to hit the country in almost 240 years and was felt as far as Jamaica, Cuba, and the Dominican Republic. 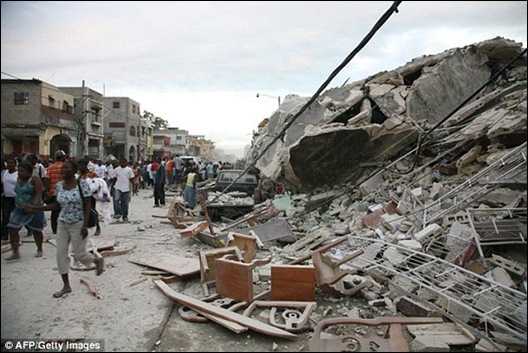 The situation has been reported as critical in the Haiti capital, Port-au-Prince. The exact number of those deceased is not yet known, since communication has been interrupted, but it is estimated that hundreds of thousands of lives have been lost, and over three million people have been affected. Today, a large number of non-governmental organizations, international charities, and governments of diverse countries are offering their support to ease the pain in Haiti. If you would also like to help your fellow man, financial support for Haiti is critical. Visit the websites of the most important organizations listed below to donate any amount, and offer some hope to the people who need it most now.